As a joint venture of Chelsea Piers and Abigail Kirsch Catering Relationships, Pier Sixty, The Lighthouse & Current have become landmarks for special events in New York City. Following Pier Sixty’s enormous success shortly after its opening in 1998, the business soon expanded by acquiring its second unique waterfront venue, The Lighthouse, in 2000. Now, we are setting the standard for special events and celebrations on the city waterfront with our newest venue, Current, which opened in 2015. Pier Sixty, The Lighthouse & Current offer inspiring Hudson River water views and flexible event spaces that are perfect for gala fundraisers, corporate events, meetings, weddings and bar/bat mitzvahs. - The dates when this service is available for purchase. - This services allows access on the following event dates and times. As a joint venture of Chelsea Piers and Abigail Kirsch Catering Relationships, Pier Sixty, The Lighthouse & Current have become landmarks for special events in New York City. Following Pier Sixty’s enormous success shortly after its opening in 1998, the business soon expanded by acquiring its second unique waterfront venue, The Lighthouse, in 2000. Now, we are setting the standard for special events and celebrations on the city waterfront with our newest venue, Current, which opened in 2015. 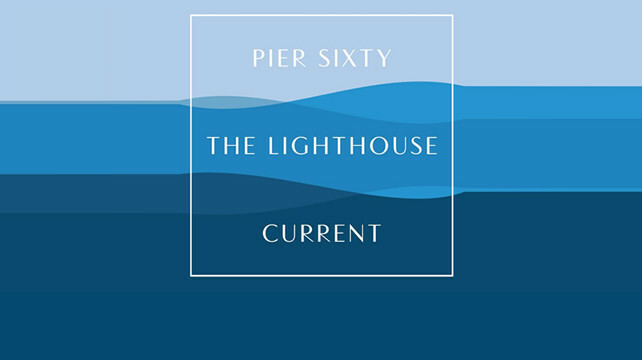 Pier Sixty, The Lighthouse & Current offer inspiring Hudson River water views and flexible event spaces that are perfect for gala fundraisers, corporate events, meetings, weddings and bar/bat mitzvahs. © Copyright 2018 GTT Communications, Inc. All rights reserved.